Only the most outstanding testimonies to the history of mankind are awarded the status of UNESCO World Heritage Site, and many of them are in Germany. Thousands of years of history have left behind a significant legacy, and it is the continuous goal of UNESCO to keep these valuable sites protected. Two places from very different eras are now coming into the spotlight of international recognition at the same time: the caves of the Ice Age in Baden-Württemberg, dating back 40,000 years, and architecture of the Bauhaus era, which began in 1919. 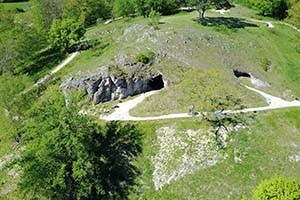 The UNESCO World Heritage Committee has named the caves of the Ice Age in the Swabian Jura in Baden-Württemberg to its list. More than 50 artifacts mostly made of bone and ivory, were discovered in six caves in the Ach- and Lonetal. These archaeological sites and prehistoric works of art from the Ice Age allow researchers to draw conclusions about the earliest traces of human settlement. Visitors to Germany will experience the works of the Ice Age in various historical museums in Baden-Württemberg. The Prehistoric Museum Blaubeuren is a central museum for the Paleolithic period of the state of Baden-Württemberg. It displays, among other original finds, the “Venus vom Hohlenfels” and three flutes of the Ice Age. At various locations, visitors can not only marvel at the objects, but also try working with stone tools. The museum of the University Tübingen displays a 40,000-year-old figure of a horse made of mammoth ivory, called “Vogelherdpferd“, and a cave named “Vogelherdhöhle“ is part of the archaeological park Niederstotzingen. Other artifacts from the era of hunters and gatherers are on display in the permanent Stone Age exhibition of the Landesmuseum Württemberg in Stuttgart. The committee also decided to allow visitors to tour further Bauhaus buildings listed among the UNESCO World Heritage Sites. In addition to the architectural sites already included in 1996, the Bundesschule of the General German Trade Union Confederation in Bernau, as well as five arcades in Dessau-Rosslau are now added to the UNESCO World Heritage List. The exterior of the Bauhaus Memorial Bundesschule Bernau, north of Berlin, is open to the public all year round. Visits of the interiors are possible through guided tours, organized by the Association baudenkmal bundesschule bernau e.V., and visitors can tour the Dessau-Törten settlement. Detailed information on UNESCO World Heritage sites in Germany is available online at www.germany.travel. San Francisco, CA — Like the Roman Empire, China’s Han dynasty (206 BC–220 AD) forged one of the most powerful, advanced civilizations of the ancient world, and its elite had it all: unbridled luxury, technical innovations and courtly romance. On Feb. 17, 2017 the Asian Art Museum unveils Tomb Treasures: New Discoveries from China’s Han Dynasty, an original exhibition of more than 100 dazzling works recently unearthed from the coastal heartland of classical Chinese culture. Never before seen in the United States, these outstandingly crafted royal burial goods survived over 2,000 years underground. Together, they reveal how the early Han courts sought to glorify their statures in this life and in the next one: by creating delicate jade body suits sewn with gold threads, exquisitely decorated coffins, ingenious “smokeless” lamps, silver and bronze banquet utensils and ritual bell sets that still ring. Everlasting happiness without end (長樂未央): Luxurious life and palatial entertainment. Learn more about daily life, meals, and pastimes of the Han elites and experience the music and dance of the court. Eternal life without limit (長生無極): Worship of jade and search for immortality. Enter a tomb-like atmosphere to explore ancient ideas about the afterlife. Enduring remembrance without fail (長毋相忘): Private life and intimacy at the court. Uncover long-lost love affairs and explore secrets from the innermost chambers of men and women fascinated by pleasure. A public Opening Party on February 16, themed “In the Afterlife” will kick off Tomb Treasures with music, live performances and dancing. This evening party will also inaugurate the museum’s popular 2017 Thursday Night Programs season, which takes place from mid-February to late-September. Tomb Treasures: New Discoveries from China’s Han Dynasty is organized by the Asian Art Museum of San Francisco and the Nanjing Museum. Presentation is made possible with the generous support of The Bernard Osher Foundation, The Akiko Yamazaki and Jerry Yang Fund for Excellence in Exhibitions and Presentations, Warren Felson and Lucy Sun, Angela and Gwong-Yih Lee, Fred Levin and Nancy Livingston, The Shenson Foundation, in memory of Ben and A. Jess Shenson, Hok Pui Leung and Sally Yu Leung, and Sampson C. and Faye Shen Fund. The Asian Art Museum–Chong-Moon Lee Center for Asian Art and Culture is one of San Francisco’s premier arts institutions and home to a world-renowned collection of more than 18,000 Asian art treasures from throughout Asia spanning 6,000 years of history. Through rich art experiences, centered on historic and contemporary artworks, the Asian Art Museum unlocks the past for visitors, bringing it to life while serving as a catalyst for new art, new creativity and new thinking. Information: 415.581.3500 or www.asianart.org. Never miss a moment: @asianartmuseum. VANCOUVER, BC – Spiritual ceremonies hearkening to ancient times take center stage when a small group of inquisitive travelers embark on a Jan. 28-Feb. 5, 2017 tour with Sacred Earth Journeys to explore the culture and archaeology surrounding Maya sacred temples in Mexico and Guatemala. Sacred Earth Journeys , a leader in spiritual travel since 2003, has engaged two of the world’s top specialists to guide its Maya Temples of Transformation tour. The nine-day, eight-night journey is priced at $3,580 per person, double occupancy. Freddy Silva is a best-selling author, researcher of ancient knowledge systems, alternative history and earth mysteries, and one of the world’s leading metaphysical speakers. His book, The Lost Art of Resurrection: Initiation, Secret Chambers and the Quest for the Otherworld, reveals how ancient mystery schools taught secrets about life and death. Co-leader Miguel Angel Vergara is a master of Maya wisdom. He studied for 17 years with a Mayan elder and wisdom keeper. He now teaches traditions including shamanism, philosophy and healing. 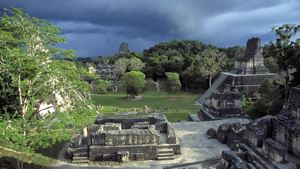 The author of The Sacred Knowledge of the Maya, he enjoys helping others experience the powerful energy of Mayan sites. The program starts in the Mexican State of Chiapas near Palenque with a cleansing ceremony and meditation in a cave hidden behind a waterfall. At the Palenque complex the group can experience a “Breath of Life” ritual, symbolizing a living resurrection. Containing some of the finest examples of Maya architecture, sculpture, roof comb and bas-relief carvings in the world, the ancient city was designated a UNESCO World Heritage Site in 1987. Another tour highlight is an Usumacinta River boat journey along the Guatemalan border with a breakfast stop in the pristine jungle. The destination is a sacred site most outsiders rarely see, Yaxchilan, where initiates once performed secret rites believed to enable time and space travel. In Guatemala, the group will explore Tikal, a vast complex that features the tallest of all Mayan pyramids, said to allow attunement with the stars. One of the most powerful kingdoms of the ancient Maya, it was declared a National Monument in 1931 and then a National Park in 1955 becoming one of Guatemala’s first formally protected areas. In 1979 it was named a UNESCO World Heritage Site. In addition to exploring ancient sites, there will also be delicious meals in ethnic restaurants, stops for shopping in colourful handicraft markets, and personal free time for journaling or reflection. See: www.sacredearthjourneys.ca/current-tours/maya-temples-of-transformation-with-freddy-silva-and-miguel-angel-vergara-2017. For more information, program availability and reservations please visit www.sacredearthjourneys.ca, email: info@sacredearthjourneys.ca, or call toll-free: 877-874-7922 (Local number: 604-874-7922). NEW YORK—Members of the United States Tour Operators Association (USTOA) offer travelers ease of access to UNESCO World Heritage Sites around the globe. From well-known sites such as Stonehenge and Victoria Falls, to unparalleled access to places like Iran’s historic cities of Pasargadae and Persepolis, USTOA members continue to recognize the importance of these sites and include them in packaged travel options for travelers across the world. UNESCO showcases and protects the world’s most cherished cultural and natural wonders while adding new World Heritage Sites to the prestigious list each year. This year’s World Heritage Committee decision to add 24 culturally significant sites brings the list total to 1,031 sites throughout 163 countries. Following is a sample of USTOA member tour operators offering a chance to explore UNESCO World Heritage Sites around the globe. 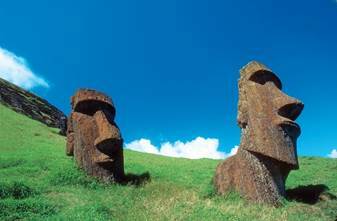 Rapa Nui, better known as Easter Island, is home to an impressive cultural landscape and intriguing Polynesian history. Zegrahm Expeditions offers explorers a 20-day journey from Tahiti to Easter Island to experience Rapa Nui National Park, a UNESCO World Heritage Site, during its “Tahiti to Easter Island: Marquesas, Tuamotus & Pitcairns” trip. Travelers discover the shrines and ancient figures, known as moai, built by the Polynesian society who settled on Rapa Nui around 300 AD. This tropical vacation also offers stunning views of volcanoes and the chance to snorkel amid vibrant reefs. Available November 5, 2017 from $19,980 per person. Alexander + Roberts is bringing travelers to Iran for unparalleled access to 11 of Iran’s 19 UNESCO World Heritage Sites during the “Persian Moments Private” itinerary. During this 13-day private tour, guests will visit the only bazaar in the world recognized as a UNESCO World Heritage site, as well as discover Pasargadae and Persepolis, cities of the Achaemenid Empire. Available in 2017 and 2018. Guests on African Travel Inc.’s 10-day “Southern Explorer” tour will hike alongside the mighty Victoria Falls, a UNESCO World Heritage Site and one of the seven natural wonders of the world. Other highlights include dining in the home of a local Capetonian family, discovering breathtaking scenery at the Cape of Good Hope and searching for the “Big Five.” Available throughout 2016, prices start at $3,895 per person. Adventures by Disney’s “Vietnam, Cambodia and Laos Family Vacation” visits three UNESCO World Heritage Sites: Angkor Archeological Park, the world’s largest religious monument; Luang Prabang, a town with rich architectural and artistic heritage; and Hoi An, an ancient trading port. Starting at $5,599 per person and available June through August 2016 with more departures in December, the adventure is rounded out by a Tuk-Tuk Temple Treasure Hunt, cooking class and an interactive experience with a Tai-Chi Master. During Globus’ “The Best of Southern England” seven-day tour, guests get the chance to visit some of the most recognizable UNESCO World Heritage Sites, Stonehenge, the City of Bath, Westminster Palace, Westminster Abbey and Saint Margaret’s Church. Historical and beautiful, this trip starts at $1,549 per person land only. For further inspirations or to search for dream travel itineraries and destinations, visit www.ustoa.com/dream. For questions and more information on USTOA, visit www.ustoa.com, call 212-599-6599, or email information@ustoa.com. Representing more than $13.5 billion in revenue, the member companies of U.S. Tour Operators Association provide tours, packages and custom arrangements that allow nearly 8 million travelers annually unparalleled access, insider knowledge, peace-of-mind, value and freedom to enjoy destinations and experiences across the entire globe. Each member company has met the travel industry’s highest standards, including participation in the USTOA’s Travelers Assistance Program, which protects consumer payments up to $1 million if the company goes out of business. As a voice for the tour operator industry for more than 40 years, USTOA also provides education and assistance for consumers and travel agents. 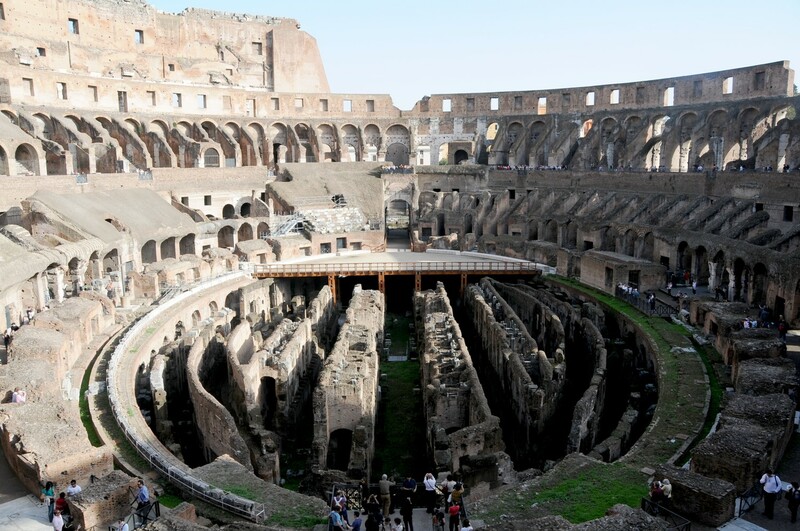 Monmouth, UK – Archaeological and cultural tour specialist Peter Sommer Travels has introduced four new itineraries in a packed 2015 tour program, including the first dedicated adventure amid the ruins and palaces of Rome. The new itineraries are among 30 different tours and gulet cruises in the Peter Sommer Travels 2015 series of journeys in the ancient lands of the Mediterranean. Catering for no more than 18 people, each tour is hosted by an expert guide from fields including archaeology, ancient history, the arts, the classics and cuisine. They are designed to provide a rich insight into the history of past empires and civilizations, while also offering a chance to enjoy the magnificent culture, scenery, food and wine of each region. Exploring Rome– an eight-day encounter with the Eternal City, exploring the vibrant capital through its many layers of extraordinary history. Archaeologists Paul Beston and Dr. Michael Metcalfe take travelers on a journey from Rome’s humble beginnings as a small settlement on the River Tiber through its rise to an imperial power controlling the entire Mediterranean. Highlights include the Roman Forum, the port of Ostia and Hadrian’s Palace at Tivoli. Departing October 17, this tour is priced from £2895 per person double (approximately US$4,626/CA$5,280). Walking and Cruising the Carian Coast – an eight-day journey departing October 3, combining a cruise along the Turkish coast with walks along the recently opened Carian Trail. With its herb-lined paths, traditional villages and hills swathed in pine, the new route provides a sense of remote, undiscovered Turkey. Archaeologist Peter Sommer takes walkers along some of its best stretches, with a traditional gulet ever present offshore to provide elegant transport, dining and accommodation. From £2175 per person double (approximately US$3,475/CA$3,890). From the Slopes of Mt Olympus to the Shores of the Aegean – This 14-day land tour departs September 2, and explores the archaeology, food and wine of Macedonia. Archaeologists Heinrich Hall and Nota Karamaouna lead this journey through beautiful and diverse landscapes – from lofty mountains and fertile valleys to the blue waters of the Aegean. The tour explores grandiose archaeological sites, mighty castles, serene monasteries, picturesque villages and the 2300-year-old city of Thessaloniki. From £3595 per person double (approximately US$5,745/CA$6,433). Exploring the Peloponnese – The fame of this large peninsula that forms the southern part of the Greek Mainland rests on its long and often spectacular history, making it a veritable heartland of European and Western culture. During this 15-day land tour, guests will discover many of the area’s most famous highlights, including no less than six UNESCO World Heritage sites, such as the gargantuan Bronze Age fortifications of Tiryns and Mycenae, the Classical splendors of Olympia, famous for the games that still bear its name, Epidaurus with its beautiful theatre and beautiful Byzantine Mystras. Departing June 3, the tour is priced at £3595 per person double (approximately US$5,745/CA$6,433). Other itineraries returning in the Peter Sommer Travels 2015 program include gulet cruises in Turkey and through the Greek islands, family cruises along the Turkish coast, a tour of Istanbul, gastronomic tours in Turkey and Sicily and a cruise along Italy’s Amalfi Coast. The company’s signature tour is the award-winning journey In the Footsteps of Alexander the Great, inspired by a 3000km walk across Turkey by archaeologist and BBC documentary maker Peter Sommer. Prices include transport, accommodation, most meals, crew and guide services, and all entrance fees and tips on excursions. For full details and bookings, contact Peter Sommer Travels at 1-855-443-3027 (in the US and Canada), email info@petersommer.com or visit www.petersommer.com.